Since Halloween is tomorrow I've decided to share some great makeup tips for this particular holiday. Some of you might be going to a Halloween party tonight and celebrating in all the festivities. So here are some Youtube videos that will teach you how to recreate a great makeup look for Halloween. I got this idea from this site, but all videos can be found on Youtube of course. 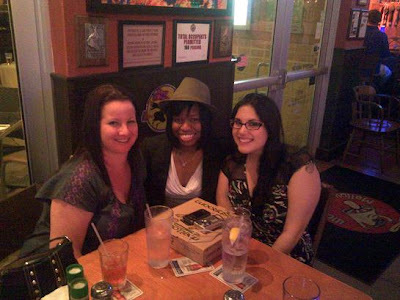 Also, about a week ago my hubby and I went to Mellow Mushroom to celebrate my friends' birthday. She's 26! 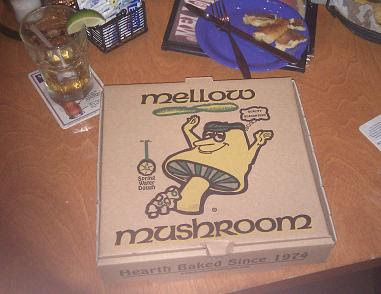 I recently found out that Mellow is not as widely known as I believed it to be. Do you have one in your state? If you don't, then you are missing out. I'm sorry if my camera phone photos are not doing this place justice. I don't know if I'll be dressing up for All Hallows Eve, but if I do I will probably go as Neytiri from Avatar. Be safe and check your candy! That leopard mask makeup tutorial is awesome! Great costume idea...I could totally see you dressed up as Neytiri. happy halloween. we dont celebrate it in here India......would have loveddddddd to dress up as someone else for a day though! i have absolutely no idea!!!! i will be going out tonight and have no costume... hope you have good one looking at the crazies in the beach! 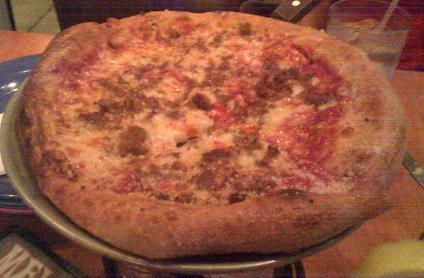 I'm not sure if we have Mellow Mushroom over here in L.A., I must check. i am actually using one of those tutorials for my makeup tonight. can u guess which one? OMG, I'm dying for some Mellow now. We haven't been there in so long! Neytiri from Avatar would be a beatuiful thing to go as. If you do, post some pictures please. and i love the make up tutorials the leopard one is so cool yet creepy! thats really cool tutorials and you guys look so happy and pretty and yumm youmm pizza! Thanks for the awesome tutorial. The looks are wonderful. I am dressing up as one of the characters from "True Blood". And this is for "Chocolate Lovers"... That's not true! We DO have Halloween in India! I have a party tonight and Mumbai is FULL of Halloween night dos!!! Have fun, girl. Thanks for the fab tutorials! i subscribe to all three of these makeup geniuses.